How to Enable or Disable Outlook Exchange Mode? Outlook deployed by Microsoft has stroked the market and is now the desktop client of all the organizations or business enterprises because of its proper management of the personal information such as; emails, calendars, contacts, etc. and the facility to connect to the Exchange Server. The simple interface of the Outlook also adds users to get attracted to it. 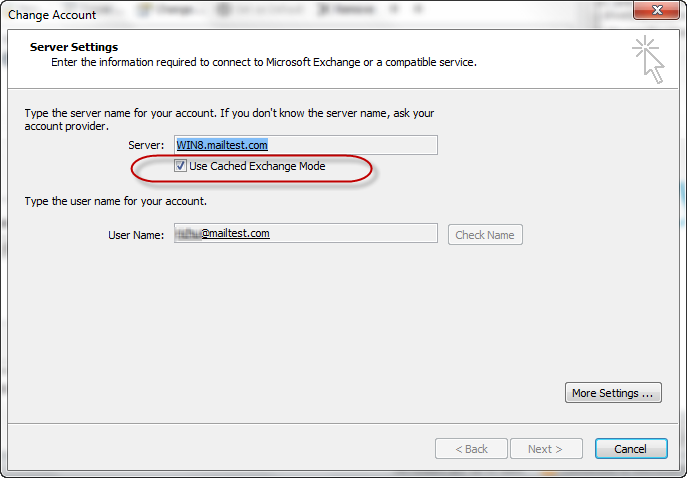 The Cached Exchange mode set up allows working with the Server through the Outlook. Once the configuration with the Server is done, users can work with the mails attached to the Server even without the network. 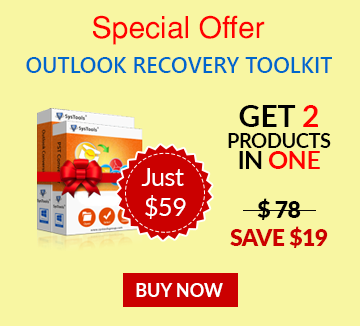 When Outlook is configured with the Exchange Server in Cached Exchange mode OST files are created in the Outlook. OST files are the offline files, is the pure replica of the mailboxes stored in the Exchange Server. The Cached Exchange mode enables you to go through the mailbox even if the Server is offline or the network got disconnected due to some reasons. If the Server is not available, Outlook will check automatically for the connection or for disconnecting. Once when the connection is regained, it will synchronize automatically with the Server and will load all the changes that are carried out; data will not be lost. The users can decide whether to enable the Cached Exchange mode or not. It is all up to them and let's see how to enable or disable the Outlook Exchange mode. Note: In all the versions of Outlook versions the procedure for enabling and disabling the Cached Exchange mode is same, only there will a change to the way to access the option. How to Turn On or Off Cached Exchange Mode? No Exchange account for the Outlook OST profile. The feature restricted by the Exchange Admin. MS Terminal service is been installed. 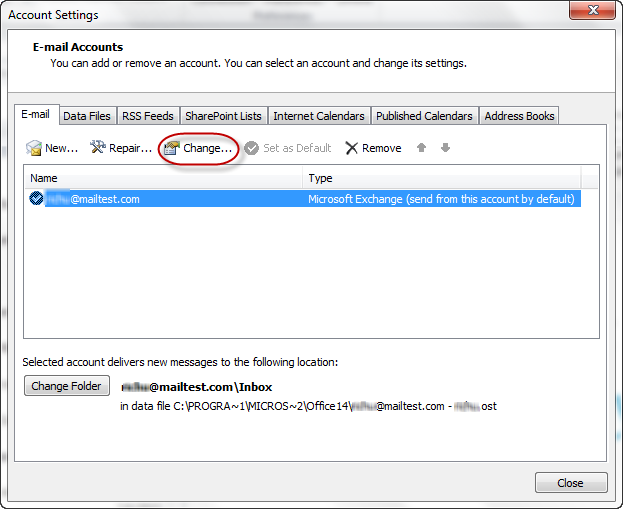 On the E-Mail option, choose the Exchange Server account and select "Change". Under the Server option, check "Use Cached Exchange Mode". Exit from the window and restart the Outlook. Follow the steps to turn off the Cached Exchange Mode. Select Account Settingsfrom File option of Outlook. In E-Mail settings choose the Server and opt "Change". Under the Server name, uncheck "Use Cached Exchange Mode". TIPS: The steps are similar in Outlook 2013 but, for Outlook version below 2010 like 2007, 2003, etc. users will have to choose the Account Settings from the Tool tab of the Outlook and rest of the steps are same. The Cached Mode feature enables to work on offline mode, search and filter the mailboxes, etc. from Outlook. The users can enable or disable the feature whenever they want. When it is checked back again, the Outlook automatically loads the server mailbox files.